This is a list of Christmas words that I plan on using the next few weeks in one of my writing centers and during journal writing. I will share pictures of the students working with these Christmas words during both of these activities as we begin to use them. Hope you enjoy!! We love comments about our projects we are sharing with you. Thanks!! 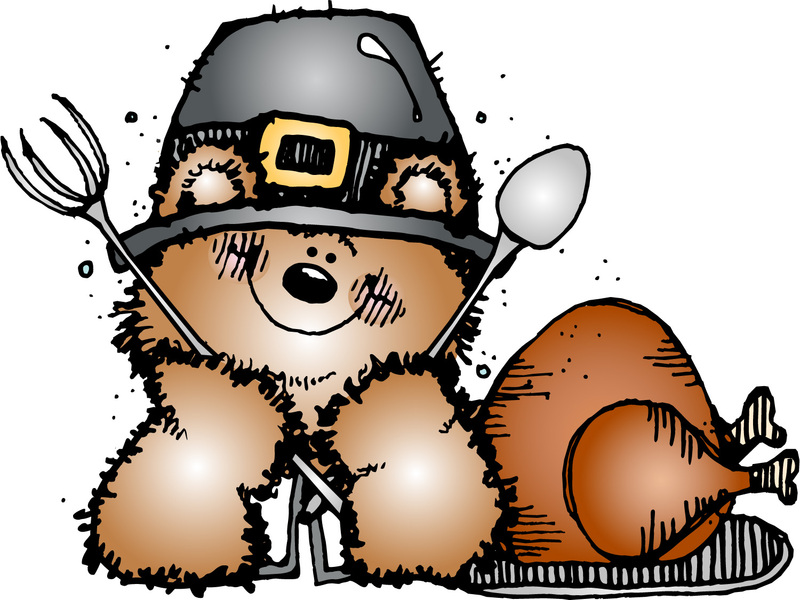 We have officially put away our Thanksgiving things today. 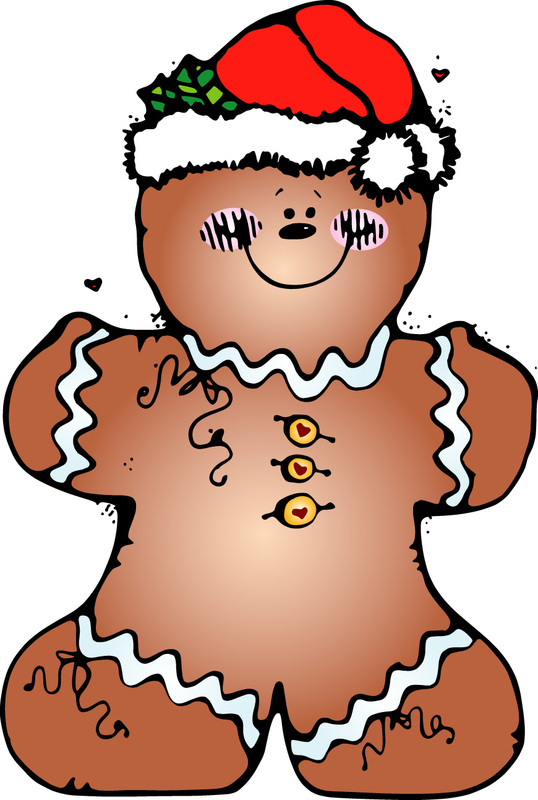 Our gingerbread unit will begin tomorrow. Before we read the The Gingerbread Girl by Lisa Campbell Ernst, the students described what they already knew about most gingerbread stories. We discussed that there are similarities between characters in books, endings being happy/sad, same kind of settings. The students loved this story. They were thrilled that the girl ruled at the end of the story. They were so glad that it was a happy ending!! It was a BIG DAY with our journal writing. As of yesterday, the students have started to work independently each day on their journal. We still do a guided writing lesson together each day, but after our guided writing lesson is done they now go back to their seat with the same "topic/main idea". They write about it independently. They put offices up and are so proud of their independent writing. I walk around during this time frame and monitor students who need additional help. We will be sharing our writing rubric and writing samples soon. Now to our freebie...Hope you enjoy this fun beginning sound segmenting paper. 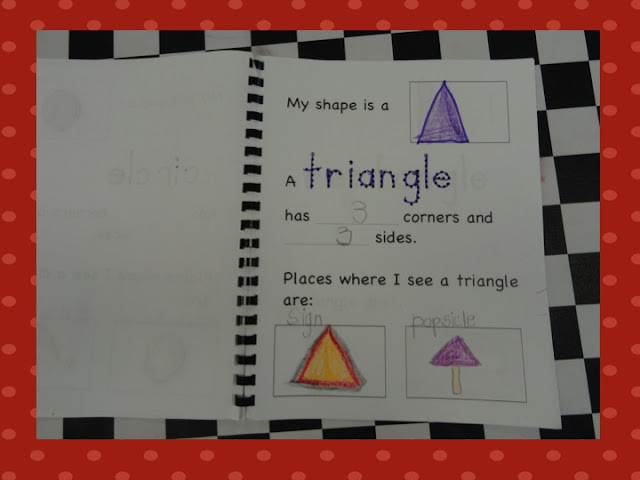 You can use this paper with all levels of learners. One group of students can put the beginning sounds, and your other students who you want to challenge a little more can write all of the sounds that he/she hears in the words underneath the pictures. You could have them turn their paper over and write a sentence with one of the words. Enjoy!! We have decided to join in on the Cyber Monday Sale on TPT. Head on over to our TPT store to take advantage of our entire store which is already 20% off with our own sale and TPT is offering an additional 10%, so that's right...30% off. Our sale will end Monday, November 28 at midnight. 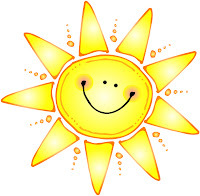 Have fun shopping!! I will be using this as soon as we get back to school. I like to use these as a 5 minute time filler or right before I start my journal writing for the day. I pass out picture cards to some students and word cards to other students. Then I have a student stand up and they either say their picture name or read their word. Then the student who has the match comes up and we see if we agree. We talk about segmenting, syllables, why some have capital letters anytime we write them, and one word/two words. 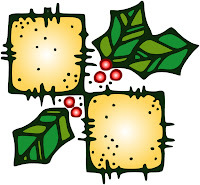 I can also use it as a memory game for the students to start to get familiar with some Christmas words. I use something very similar for journal writing which is just one sheet of paper that they have at their seat. We will be sending your way real soon. I have one for a gingerbread theme, too. 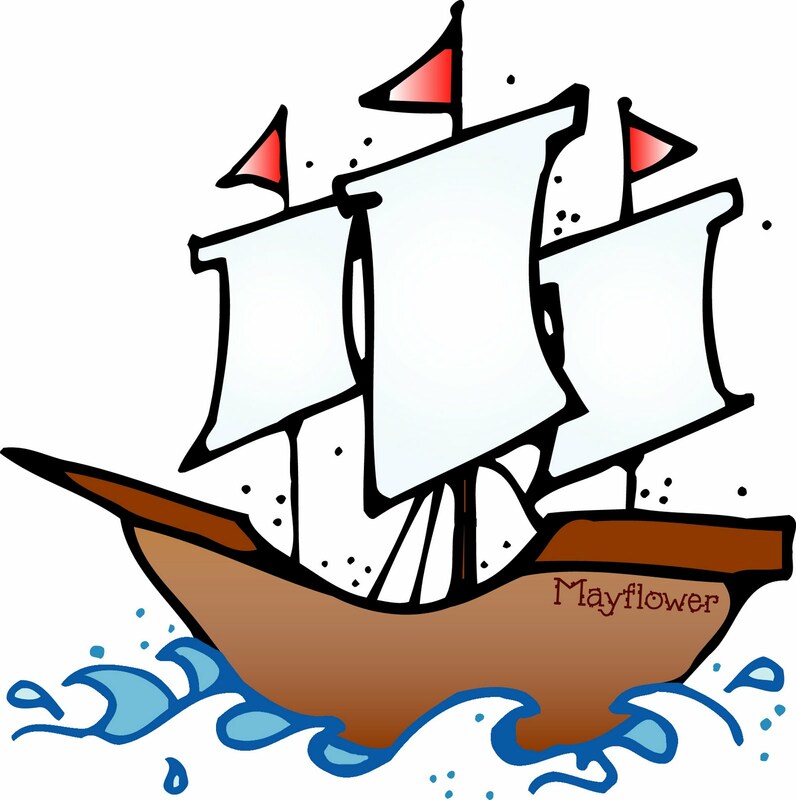 The clipart comes from KPM Doodles. Don't forget our Black Friday Sale is still running through Sunday. All of our units are 20% off. Don't miss out on some great sales. Most of these units are regularly $1.00-$2.00. Some more units will be on TPT today, so make sure you check those out. We will be having pictures of things as soon as we get back to school after our Thanksgiving break. We are having a Black Friday Sale. Everything in our store is 20% off. Our sale will run Black Friday until Sunday night. 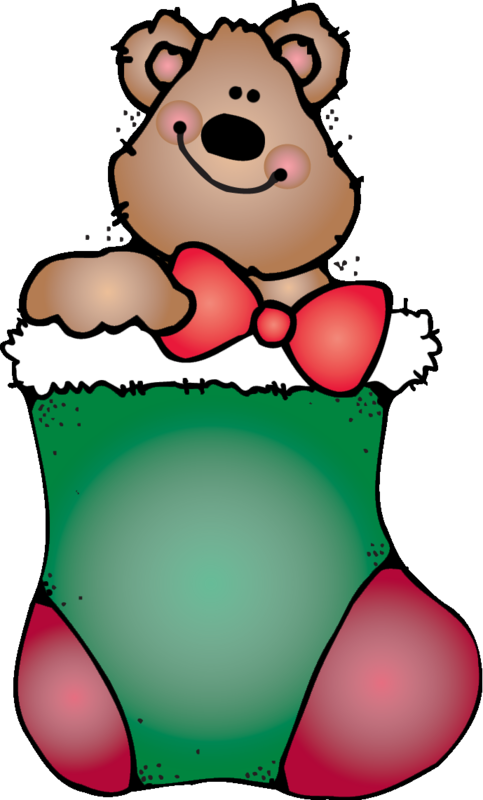 Check out all of our units, but here are our latest Christmas units. Freebie Christmas Spinner, Graph and Questions and Where Do You Buy Your Bingo Dots? We promised, so here is one of our freebies that we will be giving away the next few weeks. I could do graphing all day because the kids love it and I enjoy listening to them problem solve and analyze their graphs. 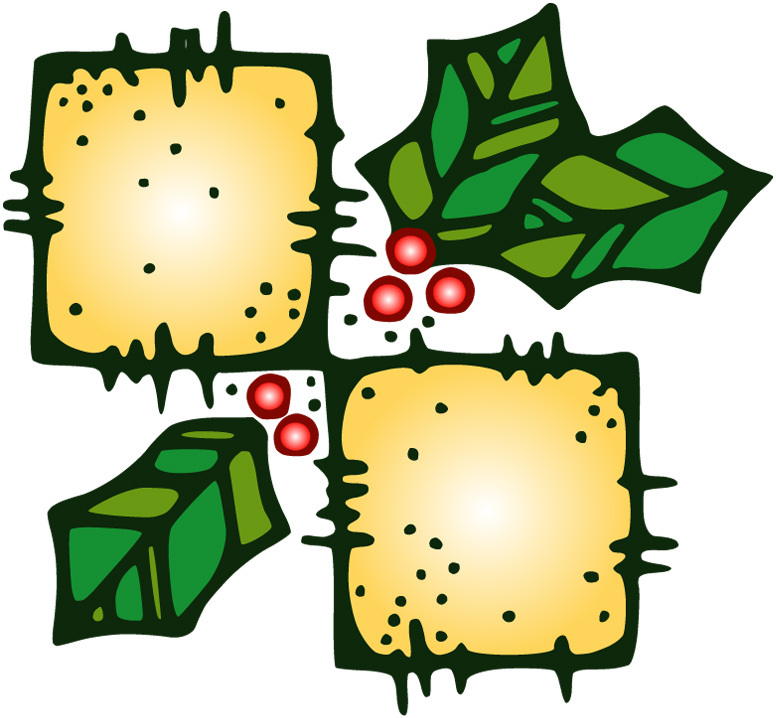 I have TONS of Christmas stamps that I am going to let me kiddos use to "color" their graphs. I have found the best place to get stamps cheap is Michaels, JoAnn Fabrics, and Target. You can usually find them for a buck!! I keep my eye on Michael's stamp pads and can get those for about a little over a buck on sale. We use BINGO DOTS a lot for graphing, too. I have been finding these cheap at Dollar Tree, but ours does not carry green and red usually. Where do you find your BINGO DOTS? We would LOVE to hear. I am leaving Tuesday to go shopping Tuesday and Wednesday and will be around most stores, so I can purchase where you tell me you are finding them cheap. THANKS A BUNCH!!! 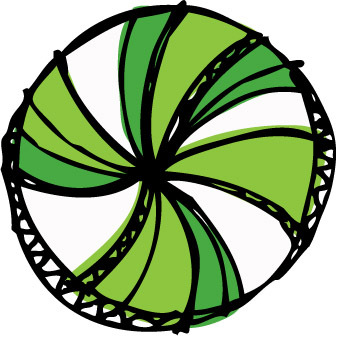 Our clipart is from DJ Inkers that we used for our spinners, graphs, and questions. If you want to copy the graph and questions on your copier, they work perfect. Save yourself colored ink!! I always do my spinners in color, though. We were just wondering what you do for parent gifts from your class? We love to do different things each year and were looking for some new great ideas. Please leave us a comment and/or link to your blog where we can see what you make. We will be sharing some of our ideas soon. 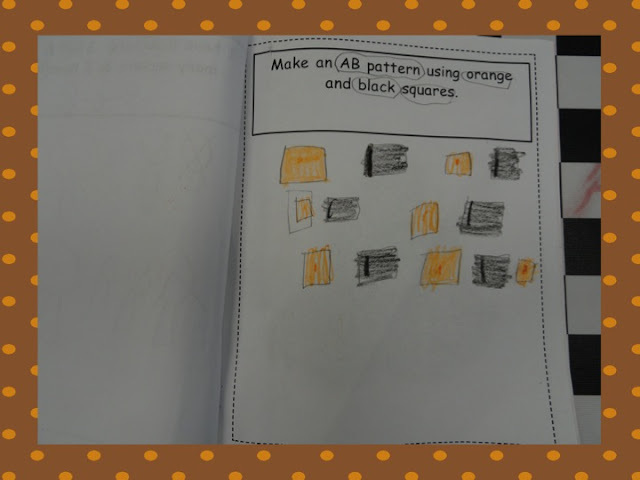 The students enjoy doing these segmenting activities. They are so excited when they have spelled the word either totally correct or come very close. Sometimes they just don't get the magic e on the word. They love referring back to our hunks and chunks cards to remind each other the "or" makes the "or" sound. There are times that we have to remind them to put a "s" at the end of the word if it is plural. The word grapes in the "free segmenting worksheets" would be an example of a plural that they need reminders to add the "s" onto the word. Making a Native American vest, headband, and necklace will be one of our goals during social studies. Discussing different symbols that the Native Americans used was enjoyed by all students. 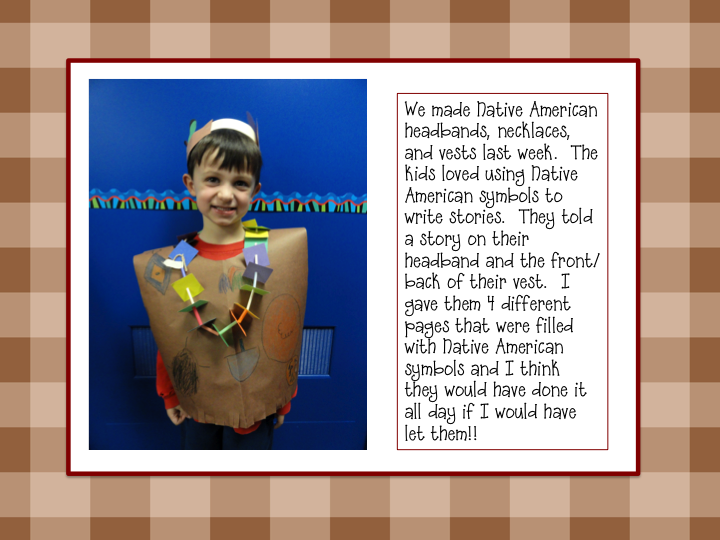 They totally enjoyed our activity of making a Native American headband with symbols to tell a story. We also used different colored feathers to finish off our headbands. They enjoyed the book Did You Know? that I read to them. I just love this time of the year!! They are so quiet and glued to any book that I read because they just love listening to non-fiction books. These non-fiction books are also easy springboards to our journal writing. As always, we enjoy comments. 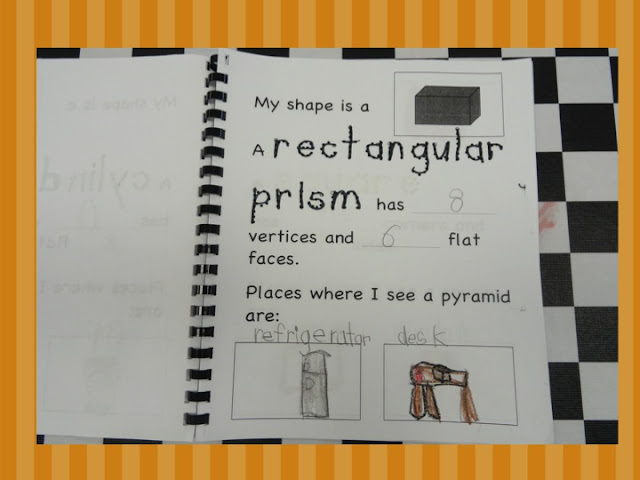 Gobble up this fun segmenting activity. 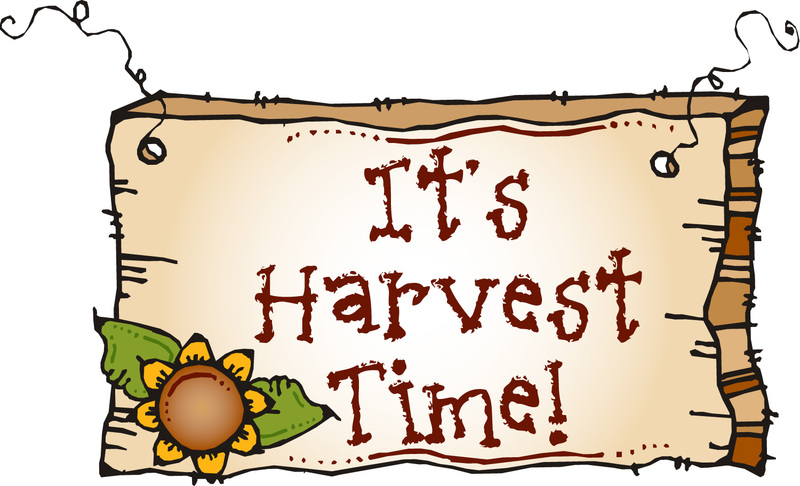 Putting the finishing touches on my Native American Unit for next week and thought some of you might enjoy this differentiated sight word activity. Using this center along with some additional centers we made, some center ideas from Jamie Mayas, and some ideas from Julie Lee to wrap up my Thanksgiving unit. 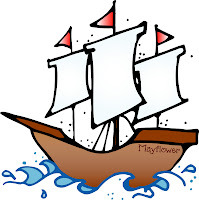 We put 2 cards on this freebie with the words The Mayflower because we left the one "The Mayflower" the same size as the rest of the cards and the other a bit larger. You can then choose which one you want. It is amazing at how much progress the kids are making in not only reading these sight words, but writing them, too. I see a lot of these words showing up in their journal writings. I will share pictures of these centers this week as the kids are using these activity cards. I am also going to be adding a nonsense word and segmenting words center each week to help prepare for Dibels and making application of our letters/sounds. Look for these fun activities coming soon! As always, we love reading your comments! Our red, white, and blue headbands for Veterans Day. We discussed AB patterning when making these headbands. Some of our final products. 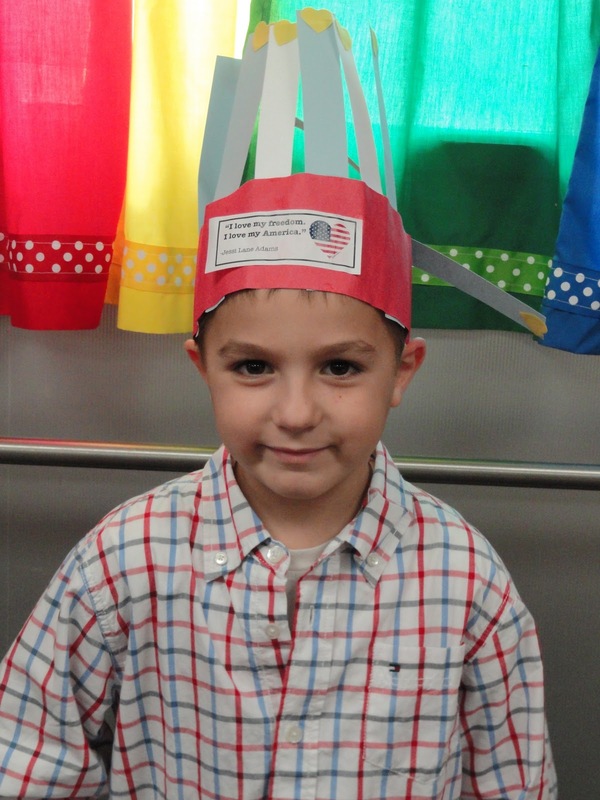 We made large flags, Soldiers from Deanna Jump's Veterans Day Packet, and our Veterans Day headbands. Our school had a Veterans Day Assembly, too. The kids learned a lot about Veterans Day! We have been working extremely hard the last 11 weeks on Letter Naming Fluency and First Sound Fluency. We have also been segmenting and reading nonsense words, but now it is time for us to practice these concepts like they will be presented on the actual Dibels test and to included them in my daily homework packet. Can you tell that we are gearing up for our Dibels testing!? 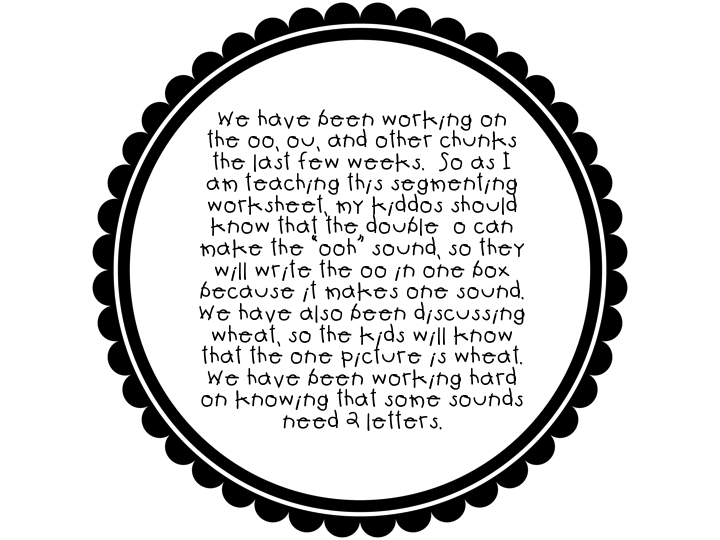 Our Letter Naming Fluency and First Sound Fluency has been a great hit on TPT, so we have put 3 new items on TPT to help with Segmenting and Nonsense word fluency. 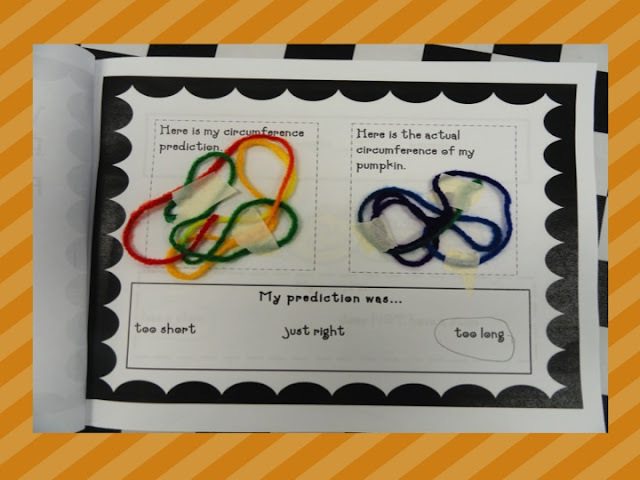 These packets can be used as homework practice or they can be used in your classroom setting. I have been progress monitoring my students over these items and they have made great progress by using these sheets as homework and rote practice at school. These are also great to use with parent volunteers to practice with students who are "at risk" for meeting the benchmarks for Dibels. 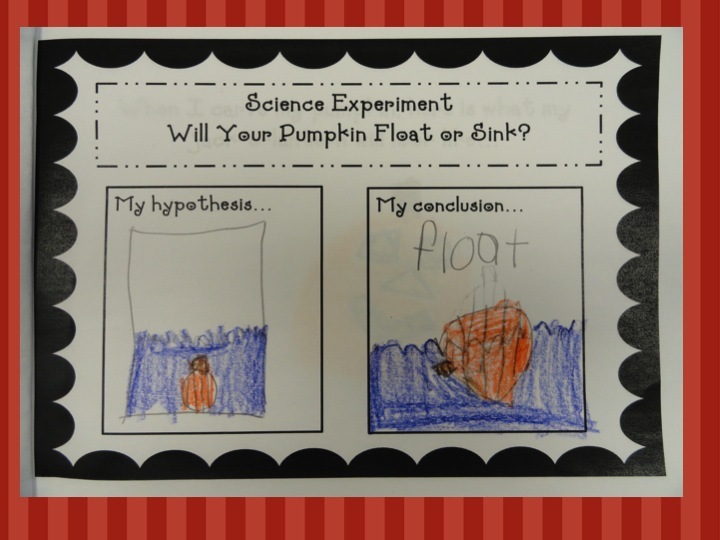 I have found that these activities also have helped my kiddos tremendously on their journal writing. 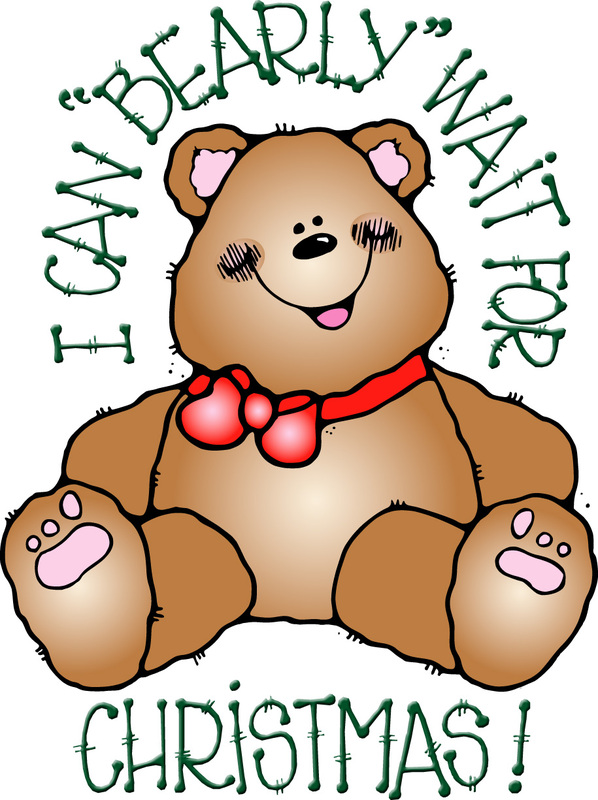 Take a peek at these new items on our TPT store. They are a steal for $1.00 to $1.50. Here are the links for them: Nonsense Word Cards, Nonsense Homework and Classroom Practice Sheets, and Segmenting Practice Sheets for Homework and Classroom Use. 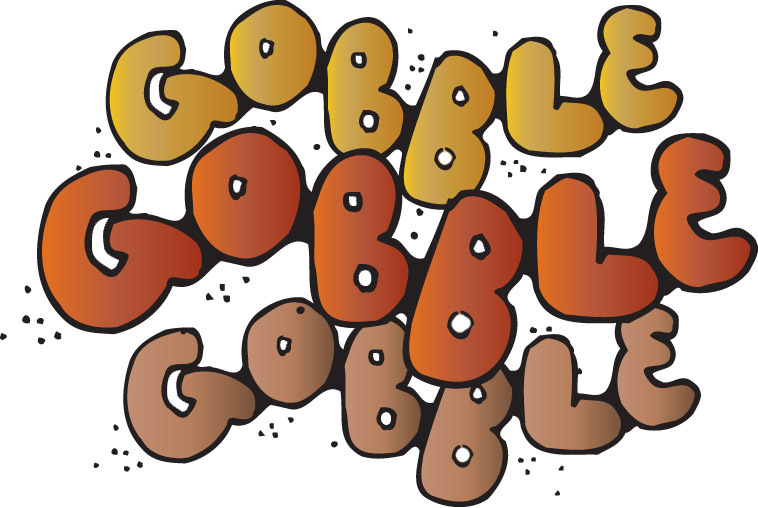 Gobble up one of our Thanksgiving Segmenting activities that we will be using next week at a center. 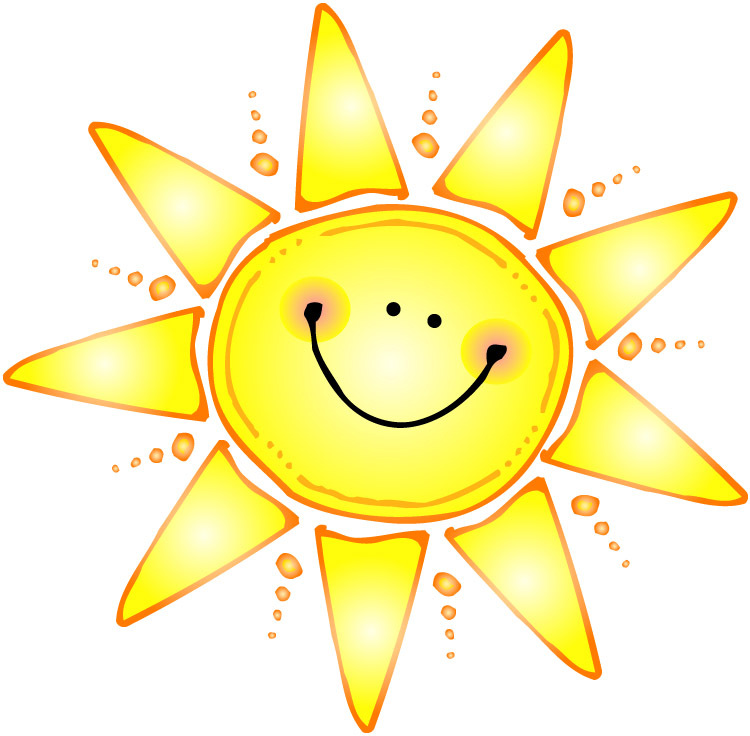 As always, please leave us a comment if you take our segmenting pages. Veterans Day pictures will be coming soon along with some Native American free downloads for centers. We have been discussing facts about Pilgrims this week. The students have really enjoyed comparing life today with Pilgrims back then. We modeled a Pilgrim center activity off of the "FAMOUS" Julie Lee's center format. The kids love doing these centers. It is great to be able to differentiate the different activities for the different learners in my classroom. 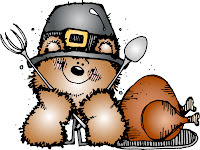 The clipart came from DJ Inkers. As always, please leave a comment if you take the free download. I did enlarge the Pilgrim girls on the copier so that it could be a bit bigger. This activity also allowed us to discuss some of the foods that the Pilgrims ate back then and what same foods we still eat at our Thanksgiving. I decided to add some Thanksgiving words to my word wall at school. I couldn't find anything specific to what I wanted, so I decided to make my own. I just cut them out a couple of minutes ago, so I don't have pictures to share of them on my word wall/pocket chart. 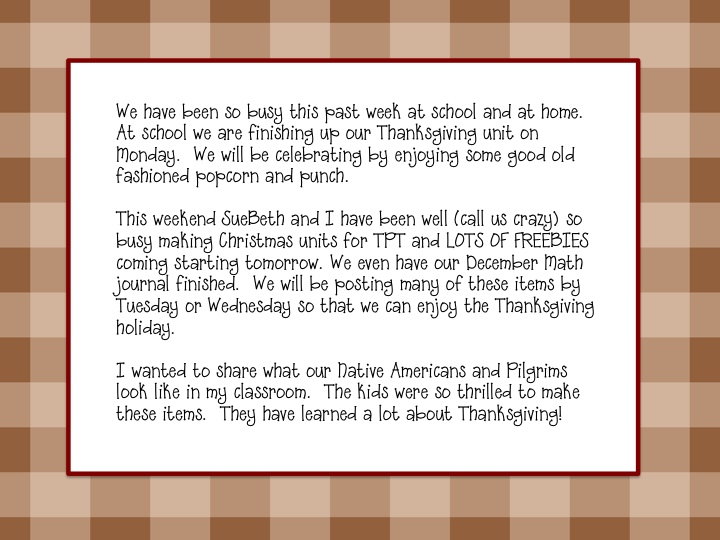 I plan on using them during center time tomorrow and during my Thanksgiving theme the next couple of weeks. 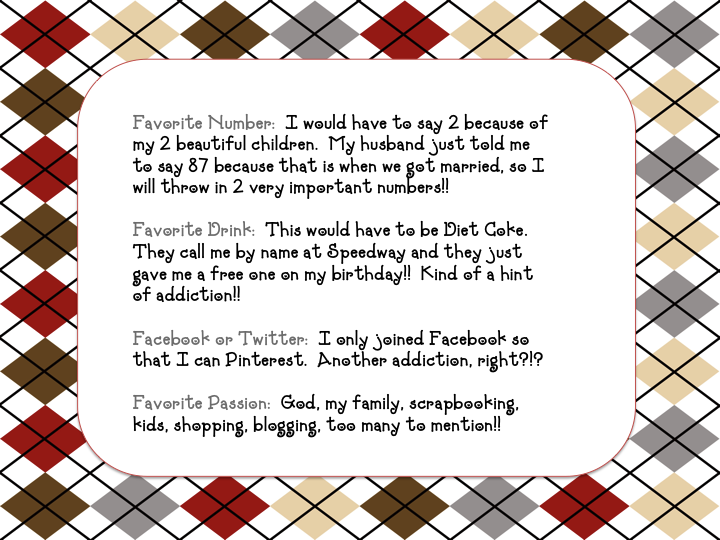 I will share pictures of the kids using them soon! As always, we love comments!! Drop us a quick note. If you design a worksheet or something based around these word cards please share. 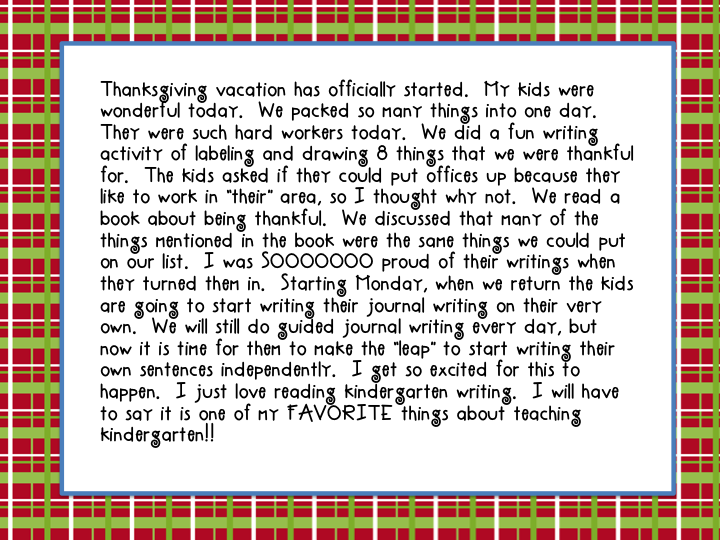 We would love to make a collection of writing activities!! 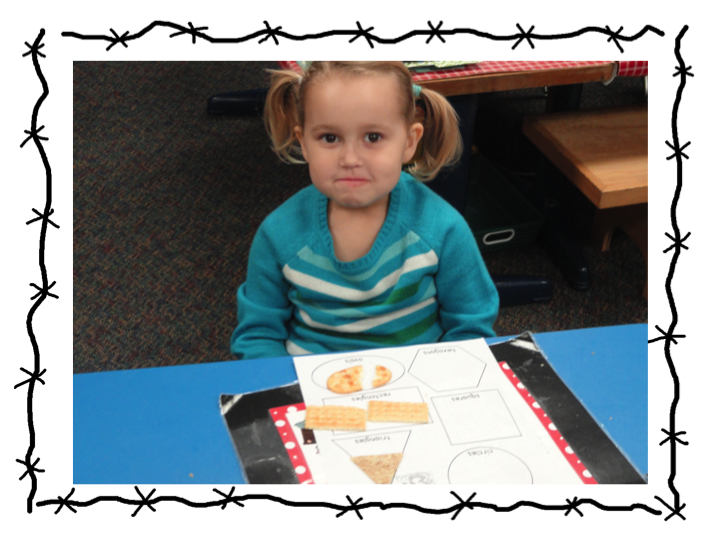 Student waiting patiently to sort shape crackers. The best part of this activity is eating the shapes!! 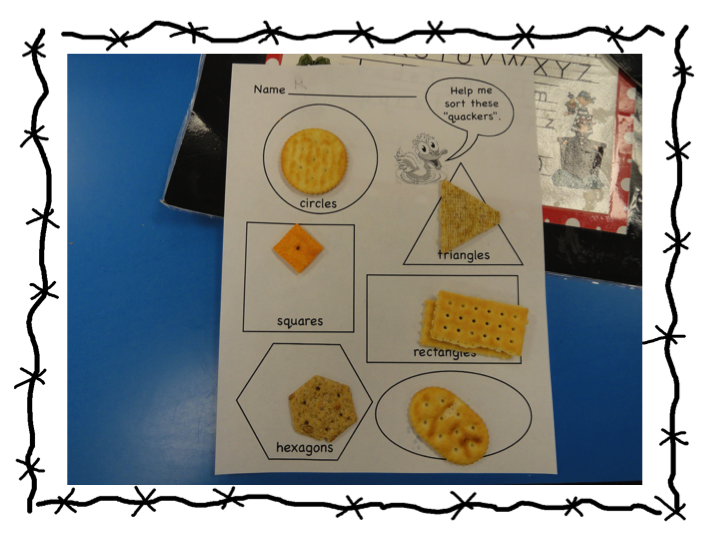 Sample of our cracker shapes. The students also discussed other ways they could have sorted the crackers. They discussed the number of corners, number of sides, etc. They described each cracker before they were allowed to eat it!! Since we are wrapping up our Shape Unit, we made a fun sorting/graphing sheet to go with our "Edible 2-D Flat Shapes" that we will be using to review these shapes one last time. We purchased different kinds of Crackers for the 2-D shapes. We purchased Cheez-Its(squares), Triscuits(triangles), Rectangle Club Crackers(rectangles), Hexagon Wheat Thins(hexagons), Ritz Crackers(circles), and Townhouse Crackers(ovals). The students will sort their crackers first. After sorting the students will describe crackers to their neighbor as we eat them. For instance: describe the oval to your partner~no corners, flat shape, etc. Then we will make a list of these facts. After doing this with all crackers, the students will be able to eat the crackers. We can use the graphing worksheet 2 different ways. You can use it to have the students graph the number of crackers they have in their snack bag or you can have students vote on their favorite 2-D Shape Cracker Snack. Pictures of this activity will be coming soon since I am doing it Friday. As always, please leave us a comment if you enjoy our shapes freebie! This past week was very busy...just like any other week~right?!? We finished up many of our projects that we started a couple of weeks ago. Most of these projects we just designed the last few weeks are available on our TPT store. I have done Math Journals the last few years, but this year I wanted to be more organized each month. So, I put one month at a time into a "Monthly Math Journal" that we complete each day. I have included almost every math strand throughout the packet. This way standards can be reviewed or introduced. 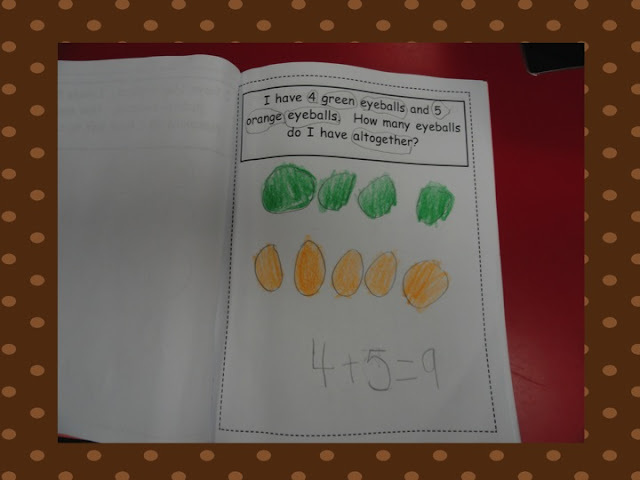 The students love these math journals and there is great discussion taking place every day!! Our November Math Journal is on our TPT, too. We have completed 2 pages and I am impressed at how well they are reading the prompts, discussing what is important to circle in the text, and solving the problem independently. We have officially wrapped up our pumpkin unit. 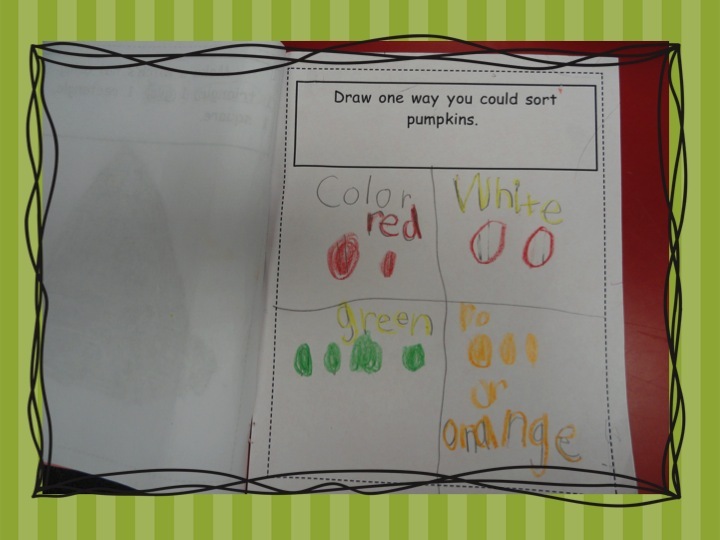 The final project was completing a book about our individual pumpkin that we chose from the pumpkin patch. The students were so excited to fill out these booklets and be able to take their pumpkin home. Here are just a few of the pages that were included in our packet. If you would have asked me several days ago...Do you really think kindergarten students are going to be able to use the terminology that is in our new math standards. I was beginning to "sweat" a little when I first saw the expectations. However, after our intense study on 2-D and 3-D shapes, I am totally convinced that most everyone has it mastered. The students are really understanding vertices, corners, faces, and then naming all of the 2-D and 3-D shapes. 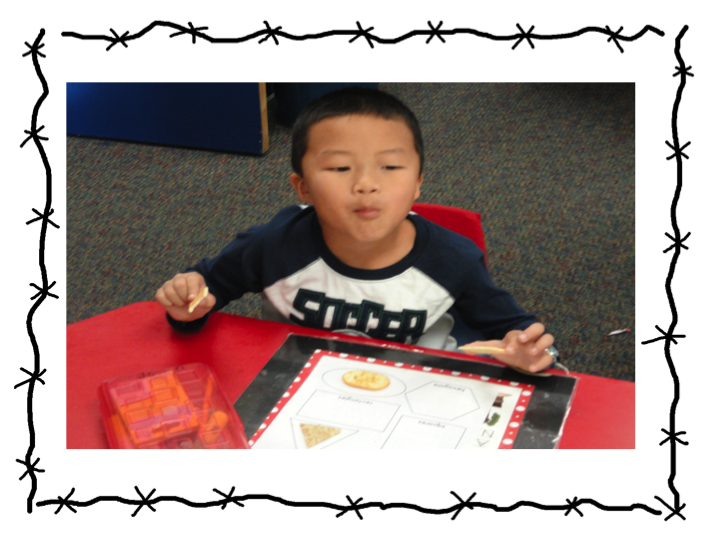 Our intense study of shapes will wrap up this week and we have our version of our Edible Shapes. We are going to have some "Shape Alerts" throughout the next few days in our classroom to wrap up this fun unit. 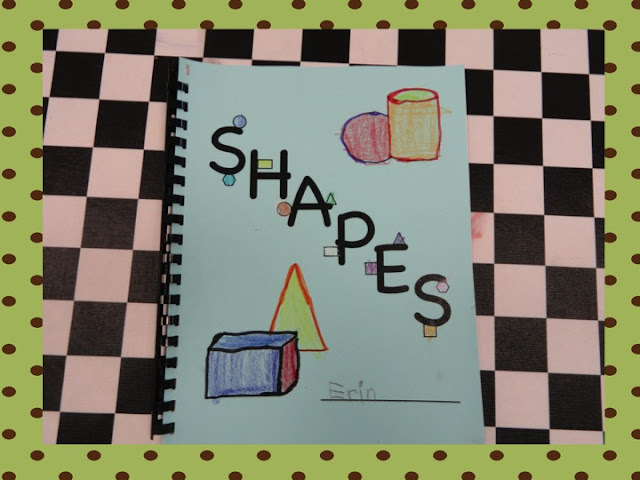 One of the biggest projects we did during this unit is our "Shapes" booklets. I have included a few pages for you from this unit. This booklet is also available on our TPT store. Well, off to finalize our "Hip Hop" 50's Day for Thursday. Plan on taking lots of pictures of this event, too. Hope you are having a fun week like we are in our classroom. I just finished up my grade cards, so I am DOING THE HAPPY DANCE!! They go home Friday, but I knew after our 50's day I might be a little tired! !